From a claims handling perspective, much attention has been focused on technological flexibility to address the communication needs of each generation and Sedgwick has been at the forefront of these tech offerings. How many Millennials and Gen Zers do you know who pick up a phone nowadays? For that matter, how many Gen Xers and younger quickly respond to emails let alone letters in the mail? From a behavioral health standpoint, there are also key differences between these groups and each one faces its own challenges. Although I usually hate lumping people together in generational generalities, it can be helpful to understand several important psychosocial stress differences. Among them are burnout, caregiving stress and depression/suicide. I’ve highlighted some key aspects of these differences below. Earlier this year, BuzzFeed News posted an article titled "How Millennials Became The Burnout Generation" by Anne Helen Petersen that tackled the challenges her generation feels when engaging in "adulting" responsibilities. Rather than engage in old tropes of "Millennial laziness" or "disengagement," she brings up interesting points about stress and disillusionment that resonate even among the other generations. Some jobs push the concepts of multitasking and flexibility to an extreme, which can increase stress. A worker who is a member of the Silent generation may also be the primary caregiver of an elderly spouse or partner at home. A Baby Boomer may be a local or long-distance caregiver for an elderly parent. A Gen Xer may be in a “caregiving sandwich” where they are helping an aging parent while also taking care of a growing family of their own. A Millennial may also be a parent and juggling their young children’s needs with a busy work schedule. Many Gen Zers still live at home and help care for younger siblings and older relatives. Managing daily job responsibilities while caring for children, spouses or other family members can cause varying levels of stress. 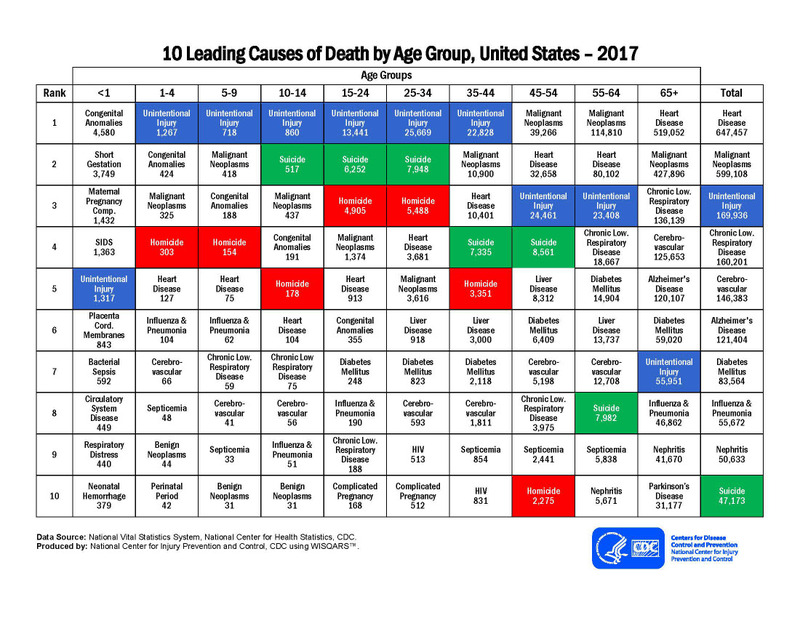 According to the 2017 data from the Centers for Disease Control and Prevention and the National Center for Health Statistics, the second leading cause of death for Millennials and Gen Xers was suicide, although older Gen Xers and younger Baby Boomers had a higher incidence of suicide overall. Ironically, much of our national dialogue about suicide prevention focuses on children and adolescents, which is much needed, but we tend to forget about the suicide risks in middle adulthood and older. Although older workers might be more prone to developing depression after an industrial accident, there are several factors that could be affecting this outcome. One key factor is social isolation. Here are two examples of workers’ compensation claims that show some of the generational differences and similarities. Walter, an 83-year-old greeter at a retail store, was injured when he slipped and fell at work assisting a customer. After breaking his ankle, two ribs and his shoulder, he was unable to work for several months during his recuperation. Walter is a widower who lives alone. More than the regular paychecks he receives from work, he misses the social interactions with his customers and colleagues, and he misses the sense of belonging and purpose he receives from working. Walter really enjoys his work and he has found himself becoming very isolated at home after his injury. After the first two months of recovery, he developed symptoms of depression, which are affecting his motivation to follow through with his physical therapy schedule. Many days, he barely gets out of bed, misses meals and doesn’t answer his phone. Shayna is a 23-year-old service representative at a busy call center. Three months ago, she sustained head and eye injuries when a computer monitor fell off a filing cabinet into her work cubicle. Shayna is single, lives with her parents and has been off work since her accident. Although her eye laceration is healed, she is still suffering from complications of post-concussion syndrome (PCS) including blurred vision, dizziness and headaches. Because her vision is blurry and the light from her smartphone triggers headaches, she has not been able to chat with her friends, read or post to social media for the last three months, and she has become socially isolated. The combination of the PCS and isolation has led to Shayna’s depression. Although Walter and Shayna are very different demographically, they both experienced severe social isolation and depression after a workplace accident. For each of them, behavioral health intervention and counseling will be the keys to their recovery. Mental health issues such as depression, stress and anxiety can drastically affect an injured employee’s ability to return to work and the duration of their medical treatment. Behavioral health specialists understand the unique needs of employees in different age groups. They can help them manage psychosocial concerns, learn coping skills and improve their resiliency. With their expertise, behavioral health specialists can address barriers and provide expert guidance to help injured employees stay on the best possible path, so they can recover, get back to work and get back to life.